It is fully hand-craft, decorated with gold crest painting. 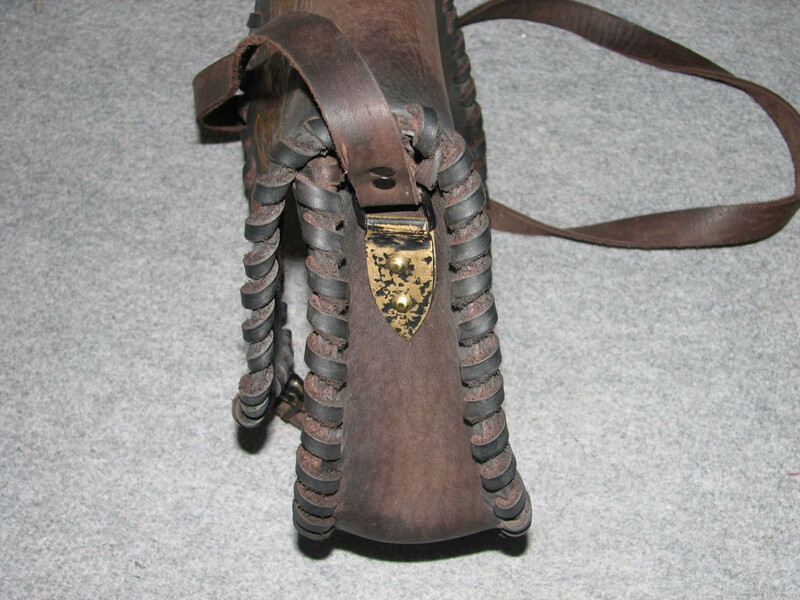 It has leather lacing on edge and shoulder strap. 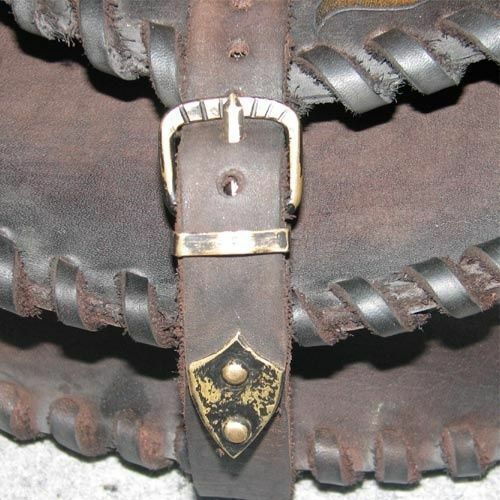 The strap is attached with vintaged clips and rivets. Brass buckle is handcrafted as well. Natural dyeing and tinting brings an authentic look to leather and saves it from eroding and color fading. Size - H-15 cm/ 6", W-20cm/ 8", D-4cm/ 1.5". You can order this bag of your own style and decoration design! 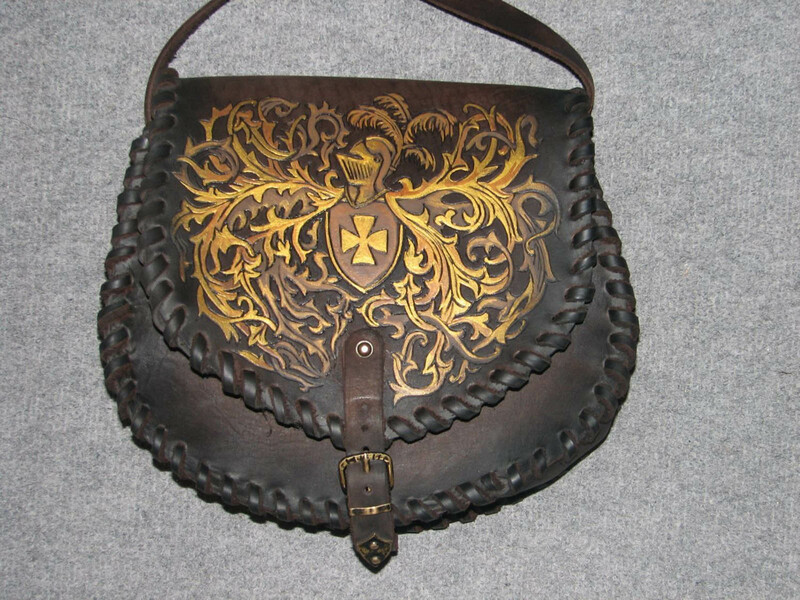 Bag is made of 2.5-3 mm thick leather. SALE!!! -50% OFF!180€ = 90€! 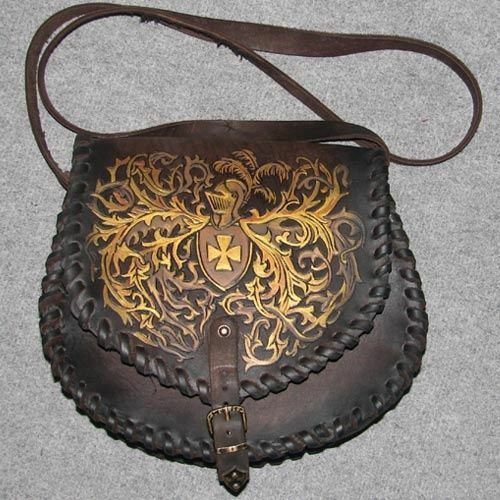 Big leather bag for big treasure hunters:)This model will be excellent accessory for your medieval armor. Bag has sizes which will be good for phone, purse, iPad, keys and of course for gold. 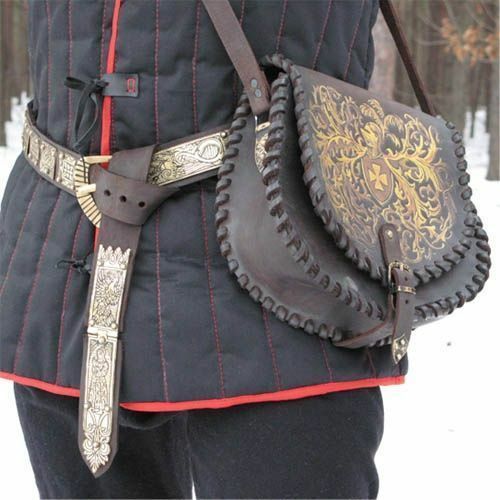 Descriptions of the bag: decorated by metal rings universal belt edges are sewn by leather cord Bag is сompletely from leather called “Crazy Horse”.All seams, waxing, manufacture and painting are handmade. Size: 30 х 27 cm..